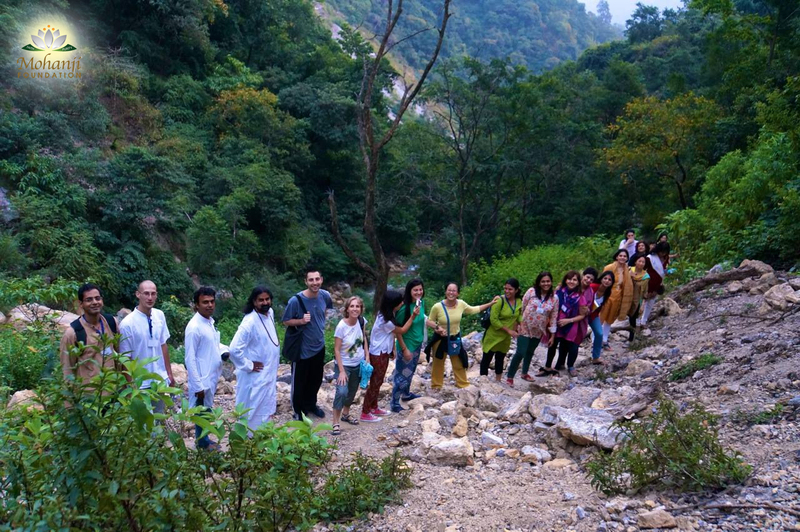 On November 28th 2014, thirty five seeming strangers from across the globe were drawn by grace and destiny to Rishikesh, to attend a ten day retreat in the presence of Mohanji. 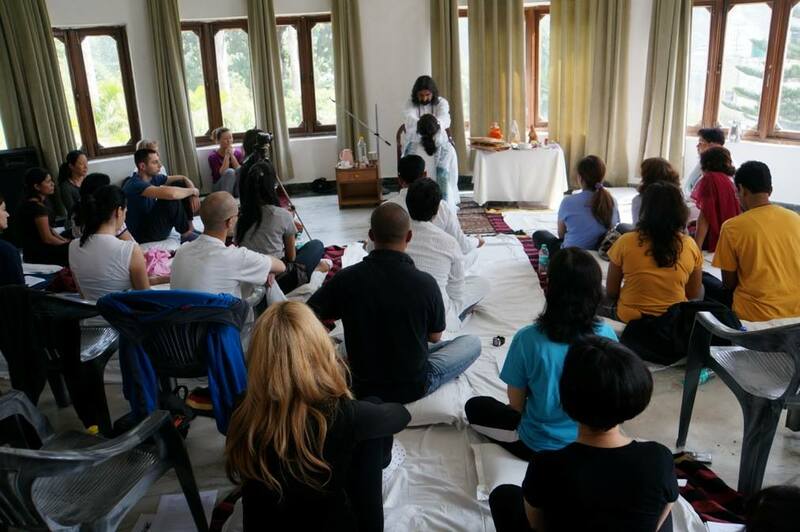 The program was called “The Himalayan Retreat with Mohanji” since it was the foothills of the Himalayas which were to play host to this culturally disparate group. The program was to consist of a series simple exercises aimed at cleansing and purifying. We were to wake up early, drink lots of water, take yoga classes each morning, eat light healthy meals, visit places of sanctity and power, meditate and have satsang with Mohanji. That is exactly what happened. Or, at least in terms of what is obviously perceivable, that is exactly what happened. But, in terms of the invisible and the subtle, the story is far greater and farther reaching, far more powerful. 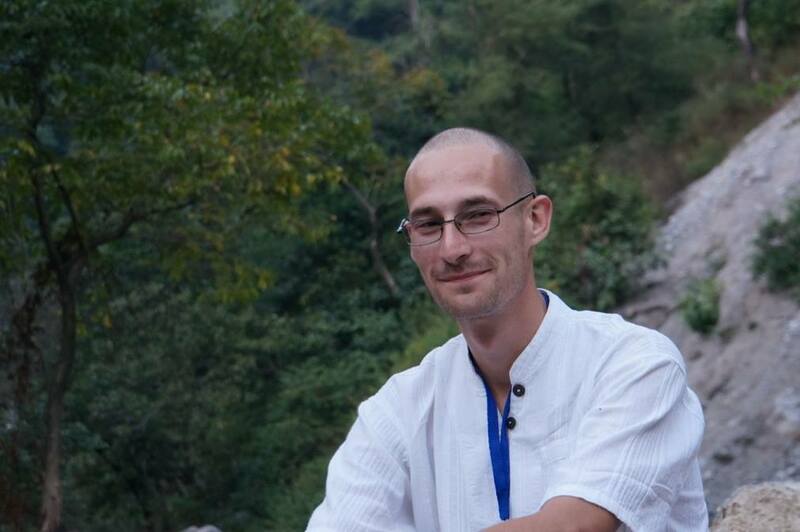 I have known Mohanji for three years, in that time I have seen him initiate people into Shaktipat, deliver teachings of exceeding clarity and depth, write articles which deliver the most evasive and difficult to grasp truths in a format that anyone can understand. Each moment with him proves the unpredictable and spontaneous nature of his methodology. 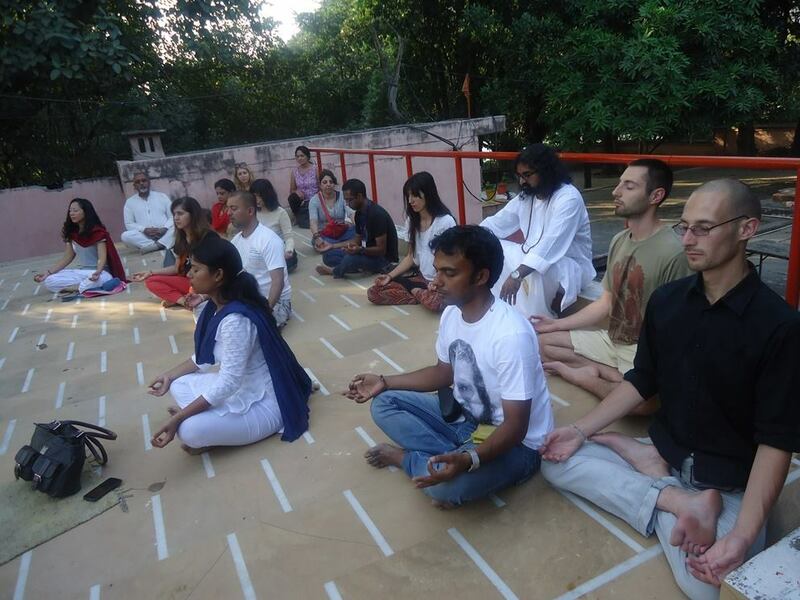 Methods have evolved and more and more people have been benefited by his presence and purpose. 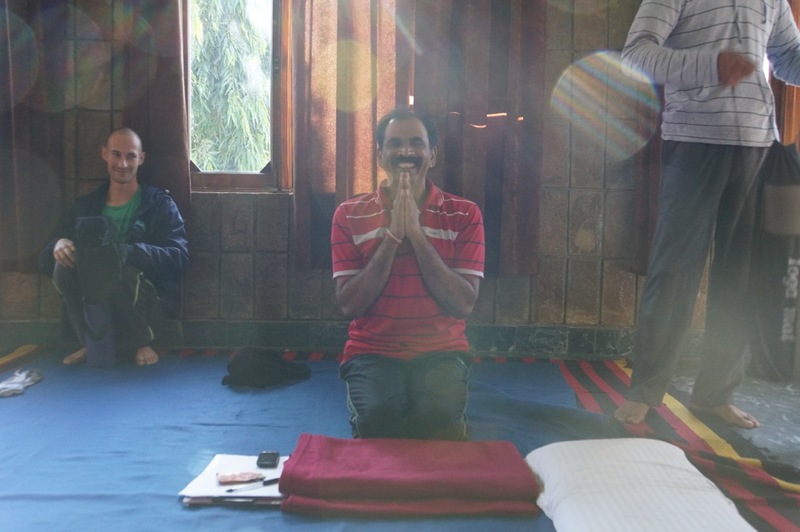 Then, unexpectedly, at this retreat, came the Kriya initiation. The Big Bomb! All of those present were initiated and we began our practice from the first day. 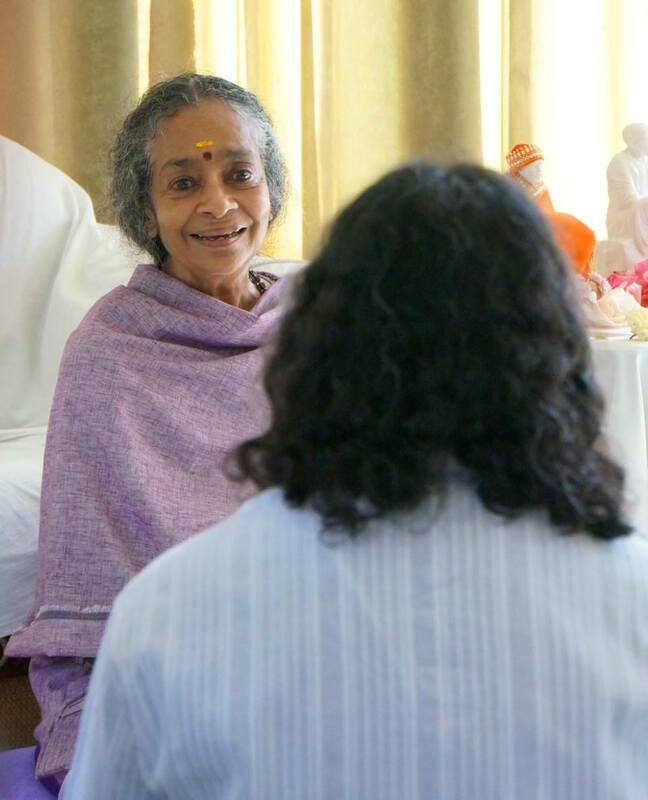 How can one possibly emphasise the power and sanctity of initiation into Kriya? This journey, as we have each in our own way experienced, is tedious and difficult to say the least. As Milton says: “Long is the way and hard, that out of Hell leads to Heaven”. This is how we may begin to appreciate this most rare and precious of gifts, a safe boat to cross the wide ocean. In one short session I experienced and connectivity and silence I had not felt for many years. How we read stories of seekers performing penance across centuries and lifetimes to earn a mere glimpse, to have a small taste of the divinity within. We have been given a sure shot short cut to the destination, a destination which seems so very unreachable and unattainable much of the time. We sanctified our initiation with vows, powerful vows which brought home the gravity and importance of what we were being given. It is my sincere hope that those who were given this gift, this privilege, make the very most of it and that they never underestimate or forget what is now in their hands. Slowly, steadily, inescapably the Mohanji consciousness did its work. So very subtle is this thing, so internal, suddenly we realize a greater silence, a greater peace, a greater depth. We knew not how nor whence the changes came, the body knew not, the mind knew not. This in itself is a clue as to the way Mohanji operates. He functions from the subtle and the essential. Working with the seed transforms the entire tree. What can one say about satsang with Mohanji? Although they all had a central theme, the topics were many and varied. From the simplest of daily, down to earth advice, to vast and unimagined journeys through the cosmos. Day after day these sessions with Mohanji became more and more electrifying and spectacular, lifting us higher and higher until we almost left the ground altogether and took flight. After lunch we became pilgrims, journeying to holy places. The samadhis, or final resting places of saints and places where the powerful masters of yore had meditated and spent time, temples and, of course. The River Ganga, the holiest and most revered of all the rivers on earth. I would mention here that in three such places, as we were leaving the ashrams or temples or river bank we were met at the exit gates by three different canine visitors, I have no doubt that they were saints or higher beings come to bless us. Others also probably came, but these are the three that I had spotted. At each of these places, we were welcomed and honoured as Mohanji’s disciples by the resident saints and swamis, despite the fact that they mostly preferred silence and isolation. They would squash our entire group most lovingly into their tiny rooms, serve us all tea, and pose for endless photographs. They all expressed genuine care and concern for Mohanji and admonished us gently to take good care of him. There I was reminded again of the invisible work he does and that, as powerful as he is, he is also that sensitive and vulnerable. This same thing was happening to us, we were becoming more and more sensitive and at the same time more powerful and stable, more aware and liberated and love was blossoming within our group. It confirmed in way what I had begun to suspect, that love is the real acid test, that the more powerful you become and the more free you become, the more your expression becomes love and it grows and grows until you become all powerful and totally liberated and that is when your love becomes truly unconditional. 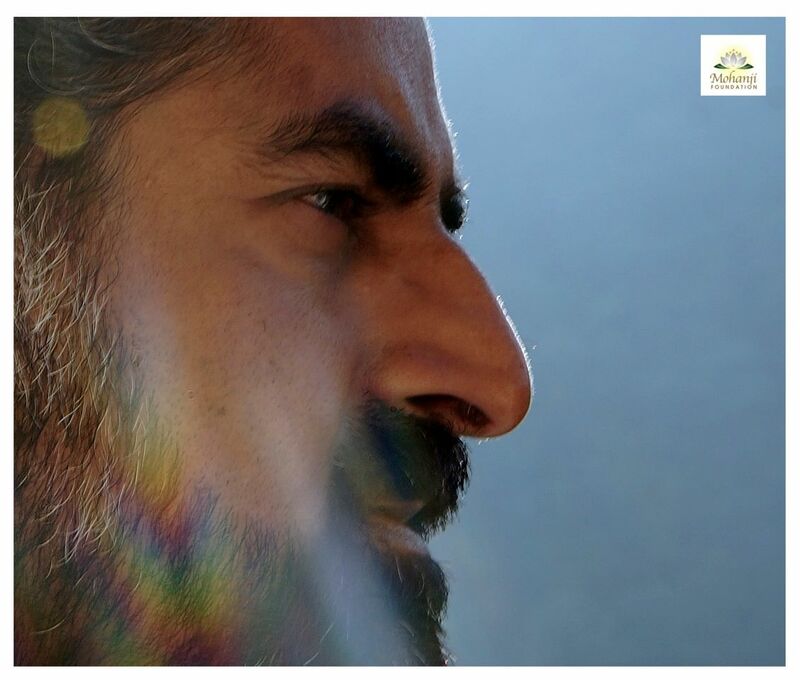 Yet another clue to understanding Mohanji, and his operating level. 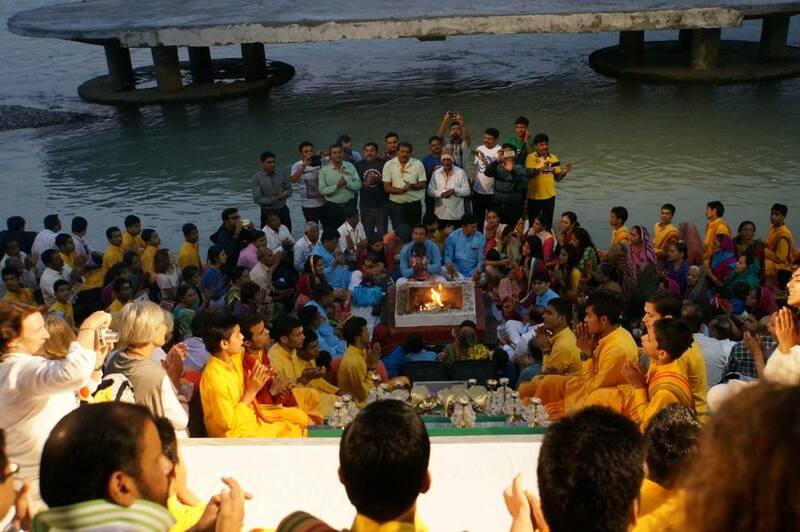 On the last full day of retreat we conducted a hawan (fire ceremony) on the banks of the River Ganga. 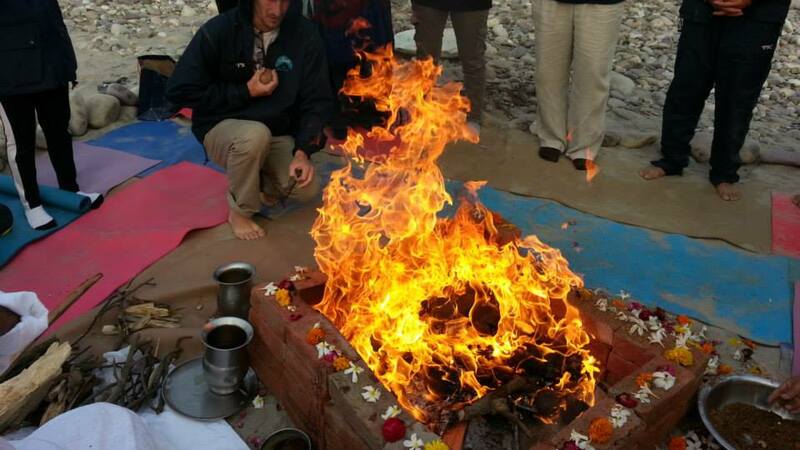 There, as the Sun began to crest the horizon we lit the fire and began to chant mantras of invocation and worship, connecting to various higher aspects of consciousness and asking them help us in this ritual of purification and evolution. Many of us experienced blissful silence during this process, many had divine visions and as we chanted the flames grew in size and intensity, the outward sign of the prodigious energy at work. Mohanji became a massive power conduit, not moving from his seat, braving the intense heat all the way through. When the ceremony was over, about three hours after beginning, we all felt lighter, more content and at peace. A beautiful silence had descended upon us and I could feel how we had been blessed. I can only imagine the work done on so many subtle levels by Mohanji throughout this process. On the surface all he did was to chant and put offerings into the fire, but again, there was much happening which I could not perceive, which I could only feel, another instance of the consciousness at work. Thus went our journey. All that we see and experience is a mere ripple on the surface of an ocean. We can definitely explore the depths of this ocean if we look deeper, if we look to subtle as opposed to the obvious. That is where we will find the real Mohanji and real us as well for that matter. Loved this post Brother Hein 😀 ❤ !!! A huge joy overcomes me when I read this. No words can convey my gratitude. True words of light my old/new friend 🙂 We miss you a lot and wish you to be blessed on your new assignment. My hearth is with you! 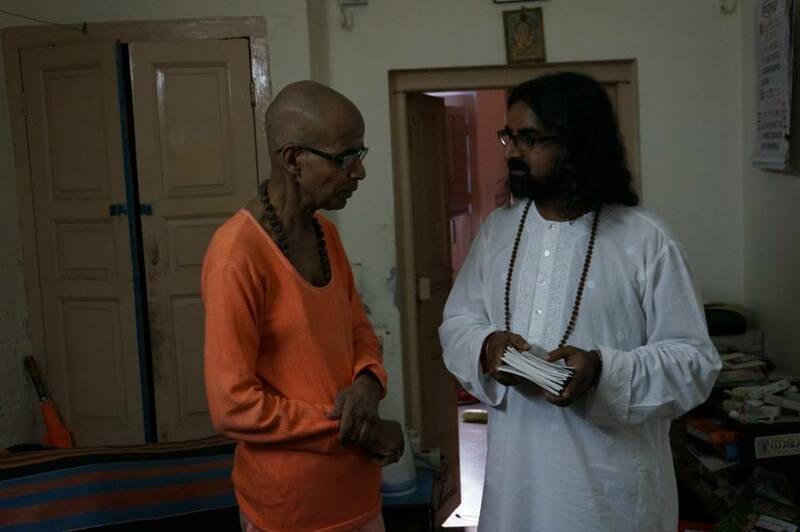 So completely happy to have this glimpse into the Mohanji Consciousness. We have NO IDEA!! !